Welcome to Essaïdi Aqua Tilis Therapy. 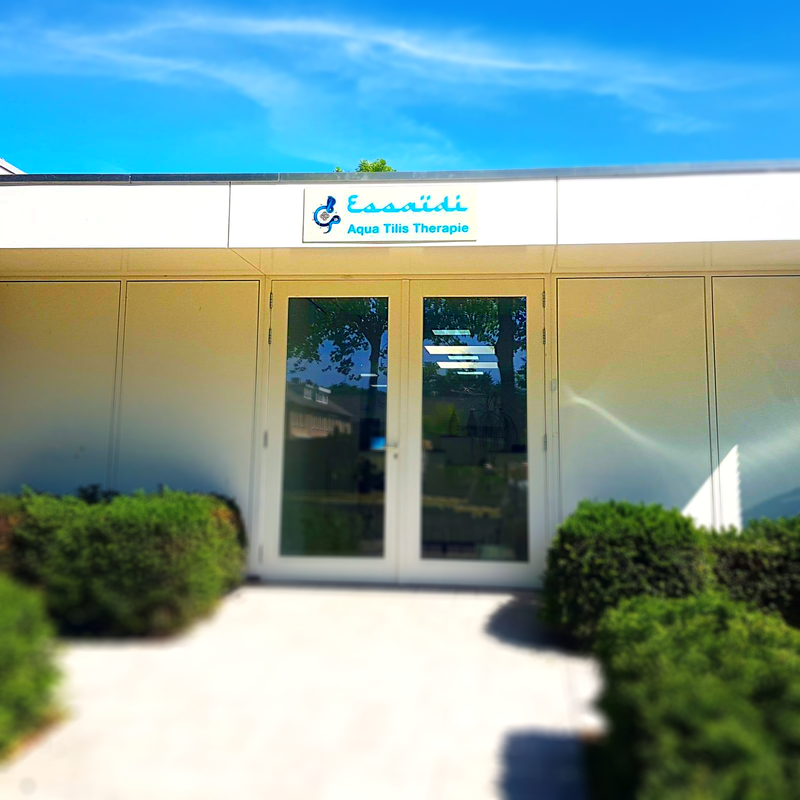 Here you will find all information about our practice: the therapy itself, the course of the treatment and opening hours. The information on this website is maintained and updated regularly, so please visit us again soon. Do not forget to add this website to your bookmarks. Radicals are atoms or molecules with one or more unpaired electrons. Every unpaired electron is constantly searching for another one and acts extremely aggressive. Radicals are powerful oxidising agents. A number of biological functions of the body are dependent on the action of radicals (e.g. the immune system). If kept under control adequately radicals are a useful species; if not, they can do much harm. Under the influence of traces of iron and copper ions e.g. hydrogen peroxide (H2O2) can be converted into the hydroxyl-radical OH* which react with anything and can cause much damage. Various types of radicals can be found, including the super oxide radical (O2-*) and the methyl radical (CH2*). Radicals may either enter from the outside of the body or originate from specific processes inside the cell. They react for instance with proteins or lipids and cause loss of cell function. Receptors, which serve as means to admit specific messages to the cell, can be affected and even the DNA in the cell nucleus may be damaged. To a certain level the body can neutralise these attacks. The main question however is, how long the cell can resist the degenerative action of radicals. When the cell is unable to resist any longer, it looses its integrity: a number of diseases can be the result. In the healthy body, there is ample protection against radicals. For instance vitamin E and C, beta-carotene, uric acid, dextrose and several plasma proteins and certain enzymes have anti-oxidant effects. This protects in many ways the possible damage of radicals. Certain proteins combine with iron, and as a consequence, they inhibit iron to play a role in radical formation. Vitamin E has also a preventive effect, as it neutralises the radicals the moment they originate. The more the body ages, the weaker becomes the defence system against radicals. Radicals play a key role in the development of diseases of old age, such as rheumatism, Parkinson’s disease, dementia and heart- and vascular diseases. Ageing itself is caused by loss of functions of cells, tissues and organs. This loss of function is again due to the breakdown of vital processes in the cell. Damage due to radicals is considered one of the important causes. Disorders of the central nervous system may be treated by removing radicals. The consequence of dementia and damage caused by injuries or cerebral haemorrhage may be limited in the same way. As indicated before, the radical theory gives an explanation for many disease symptoms.Based on this concept Ir.M. Essaïdi has developed a novel non-invasive therapeutic technology to effectively inhibit the action of a surplus of radicals and to reduce their synthesis. At the same time this method stimulates the activity of the immune system, resulting in a more successful defence against infections. Furthermore, the circulation of blood throughout the body is significantly enhanced. 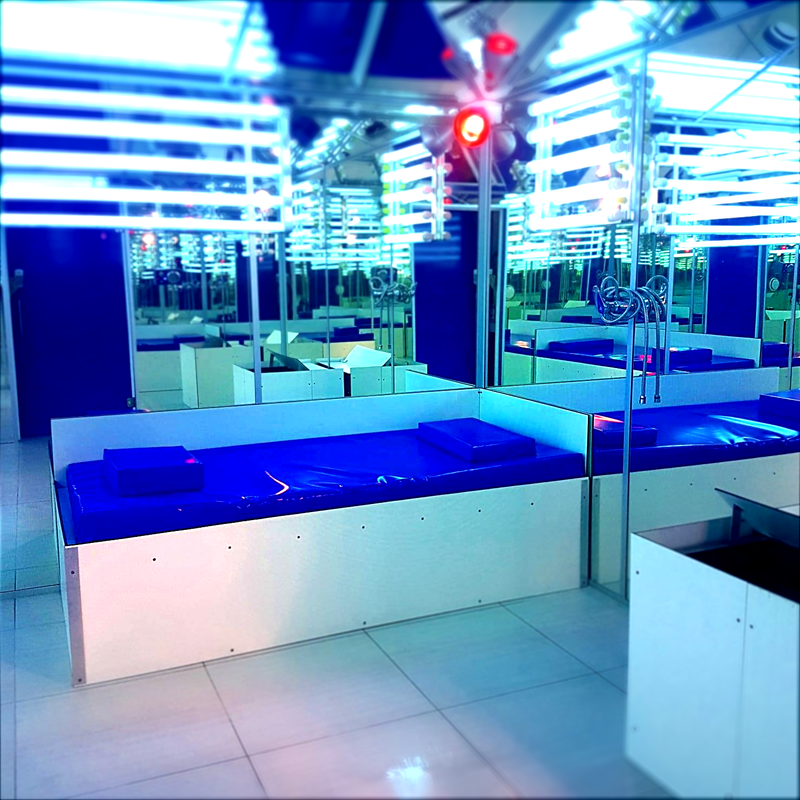 The entire treatment takes place in the Essaïdi cabin, in which parameters, such as temperature, pressure, light intensity and energy volume are precisely regulated and strictly controlled by a computerised system. The patient is surrounded by a specific water vapour called Aqua Tilis. It enters the body through the skin pores, resulting in recovery without using pharmaceuticals. Heart rate and blood pressure are under constant control and cabin functions are adapted to the specific condition of the patient. This creates the most favourable circumstances for an effective and fast treatment. The Essaïdi Aqua Tilis Therapy stops the progression of a number of diseases that are related to a surplus of radicals; it removes damaged cells and causes to replace them by new cells. Consequently, the recovery process has been shown to be considerably accelerated. Due to the fact that neither pharmaceutical drugs nor poisonous gases are used, the Essaïdi method is absolutely safe and no negative side effects have been observed. In Waalre four cabins are presently operational, each measuring 3 x 3 meter. In each cabin there is a stretcher, a whirlpool and a steam vessel.Each of the cabins has an entry compartment with a shower and a toilet. In this entry compartment the patient can undress in all privacy. The patient should lie on the stretcher in the cabin totally undressed; jewellery, watches etc. should also be left in the entry compartment. It is mandatory that each patient bring with him/her a healthy accompanying person, who also takes place (undressed) in the cabin (the treatment does not have any adverse effects on the healthy accompanying person). By means of an intercom system the assistant, from outside of the cabin, stays in contact with patient and accompanying person during the treatment. If the patient wants to contact the assistant, the accompanying person could also do this; the patient does not need to discontinue the treatment. Sometimes patient needs help for a number of other reasons; the accompanying person can provide that help. A treatment session takes 30 minutes, divided into two periods of 15 minutes each. During the interval between these two periods the patient should take a shower and thoroughly clean the skin with a bath-brush and extensively flush the body. The accompanying person can be of assistance, if needed. Radicals and compounds playing a role in their originating are caused to leave the body by transpiration via the skin pores. These pores are opened due to the temperature (somewhat over 50°C) and humidity (almost 100%). Thorough brushing and washing is therefore necessary. soap, shampoo, hairdryer, comb etc. The total amount of time needed for one treatment session, including changing clothes, showering and re-acclimatisation is approximately one and a half hours. During the period of treatment smoking and alcoholic beverages should be avoided, because of interference with the therapy. (Smoking and alcohol cause a significant increase of free radicals in the body!) Females using oral anti-contraceptives are advised to take other measures for anti-conception because during the therapy the efficacy of oral anti-contraceptives can be diminished. Finally, the cabin should not be entered with an empty stomach. Before starting with the treatment, there will be an intake interview with Mr. Essaïdi, Med. Eng.. It is necessary for the patient to bring along medical data (copies of medical correspondence and the like) and a complete set of blood-values (a form is available). The blood-values can be requested from the general practitioner or a medical specialist. If X-rays or MRI scans are available, they should also be brought. By examining the nature of your complaints it will be assessed if you are eligible for the Aqua Tilis therapy. If there is sufficient indication that you will benefit from the therapy, the procedure of the therapy will be explained to you. In addition, an intake-form will be completed with personal data, diagnosis, medical history, medication history and such. The therapy consists of a number of treatments in the cabin.Blood pressure is measured and entered in your medical file before and after each treatment. All data and remarks are also noted for later evaluation. After 5 sessions it is required to carry out a magnetilis sweat analysis. With these results the cabin can be optimally adjusted. The results of the analysis will be discussed with the patient. There is always a staff member present in case you have any questions. An appointment with Mr. Essaïdi, Med. Eng., can be made at your request. It has been shown that the Essaïdi Aqua Tilis Therapy effectively counteracts radical related pathology; in a significant number of diseases positive results have been obtained.At the same time, no adverse side reactions have been observed. In patients with the following diagnosis either beneficial effects or complete cure have been observed: neurology, urology, cancer, viruses, skin diseases (psoriasis, eczema, acne vulgaris), inflammations (prostate, bladder), infections, varicose veins, migraine, epilepsy, asthma, particular forms of poisoning and glaucoma. Positive effects have also been observed with diseases such as multiple sclerosis and rheumatic disease. In several types of cancers (cancer of the skin, lung, pancreas, breast, liver, stomach, intestine, prostate, uterus and blood) definitively positive effects were seen. Especially here it became apparent that the efficacy and duration of the treatment are highly dependent on the nature and stage of the disease. The fight against radicals goes back as far as the ancient Egyptians, although they were unaware of the atomic reactions inside the body. They used specific vegetable extracts (anti-oxidants) to keep the body in the best possible condition (as mentioned before, anti-oxidants are substances that have the ability to neutralise radicals).The Essaïdi Aqua Tilis Therapy is the only known treatment to neutralise radicals on the basis of atomic reactions. Many patients whose clinical symptom either improved or disappeared (among which a number of cases without recovery prospects) prove the validity of the concept and the efficacy of this therapeutic technology. Here you will find a practical summary of the care plan in relation to the Aqua Tilis therapy. You will find more details at the other website pages. Before starting with the treatment, there will be an intake interview with Mr. Essaïdi, Med. Eng.. By examining the nature of your complaints it will be assessed if you are eligible for the Aqua Tilis therapy. Sometimes it is necessary to evaluate additional medical data from blood or urine laboratory tests. If there is sufficient indication that you will benefit from the therapy, the procedure of the therapy will be explained to you. In addition, an intake-form will be completed with personal data, diagnosis, medical history, medication history and such. Pricing of your treatment will be determined by the outcome of the examinations as mentioned above. Please contact us for an appointment. The therapy consists of a number of treatments in the cabin. Blood pressure is measured and entered in your medical file before and after each treatment. All data and remarks are also noted for later evaluation. Lecture by mr. M. Essaidi during the National Cancer Day in Stuttgart, Germany in 2006. Part 1 to 8. In Dutch/German only. Although every effort has been made to ensure the information contained in this website is correct, no rights can be derived from the contents of this website;We disclaim all warranties with regard to the information provided on our webpages. This website is provided for information only. The information provided is not a substitute for professional medical advice.In case of any questions and/or remarks, please contact us. The content of this website may not be copied, distributed, reproduced or made public in any manner without the prior written permission of Ir. M. Essaïdi. Essaïdi and Essaïdi Aqua Tilis are registered trademarks of Ir. M. Essaïdi. © 2019 Essaïdi AquaTilis Therapy. All rights reserved.